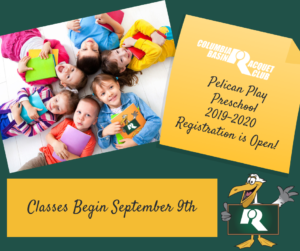 Pelican Play Preschool is designed to prepare children ages 3-5 for elementary school while still allowing them to have fun and enjoy learning. Our teachers and assistants are well trained and have numerous years of education and experience working with children. They are excited to share their knowledge and expertise with your children! Our mission is to help children develop emotionally, socially, physically and cognitively while enjoying a safe and encouraging environment. Pelican Play Preschool is designed to prepare children for elementary school while still allowing them to have fun and enjoy learning. As we wait for all of our friends to arrive, children will be given an entry task to complete that will always involve recognizing/writing his or her name. Each child will have their own cubby and a place to hang their coats and bags.